‘The sweat wis lashin oafay Sickboy’ — so begins Irvine Welsh’s 1993 classic, Trainspotting. 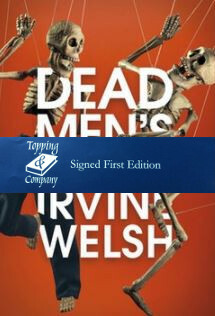 But Renton, Begbie, Sickboy, and Spud have moved on, and one of them will not survive Irvine’s latest book. ‘A disquieting rivulet of sweat trickles down my back’ — so begins Dead Men’s Trousers, the latest instalment in Welsh’s famous (and infamous) story. With Renton a jet-setting DJ, Begbie an internationally renowned modern artist, and Sickboy and Spud exploring the wonderful world of organ harvesting, nothing but trouble awaits.